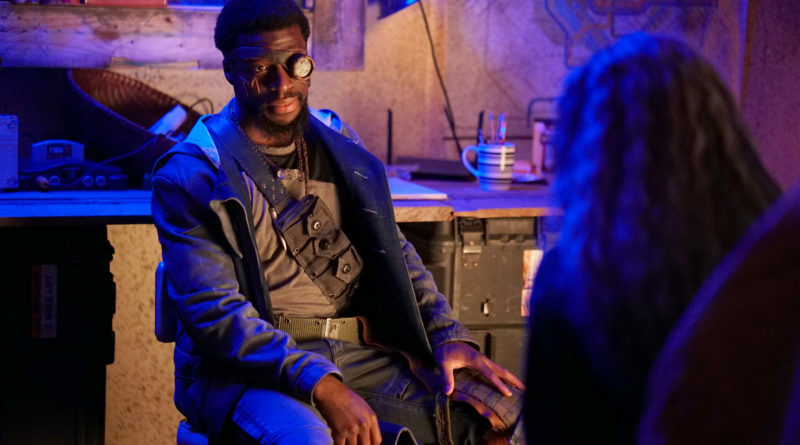 THE GIFTED: Guest star Michael Luwoye in the "meMento" episode of THE GIFTED airing Tuesday, Jan. 8 (9:00-10:00 PM ET/PT) on FOX. ©2018 Fox Broadcasting Co. Cr: Annette Brown/FOX. In this week’s jam packed episode of The Gifted , Lauren dives deeper into her dark family legacy, while Lorna finally starts seeing sense as Reeva recruits a number of dangerous mutants to the Inner Circle’s cause. Meanwhile Marcos and Blink return to the Morlocks for help and Jace finds himself questioning his and the Purifiers methods. Meanwhile, how great is it to see Lorna finally come to her senses when she discovers that Reeva recruited three violent criminal mutants who destroyed the Ignavus cruise ship and killed thousands of people in the process, including children. After admitting this isn’t the cause she signed up for, I’m so glad that she finally reconciled with Marcos and I really enjoyed seeing the two team up to investigate Reeva’s plans. That surprise twist at the end of the episode genuinely surprised me, and it’ll be interesting to see what they do with that information. I’ve got to admit the aurora borealis effect when they kiss is pretty cheesy, but I’m so happy to see them (sort of) back together again!